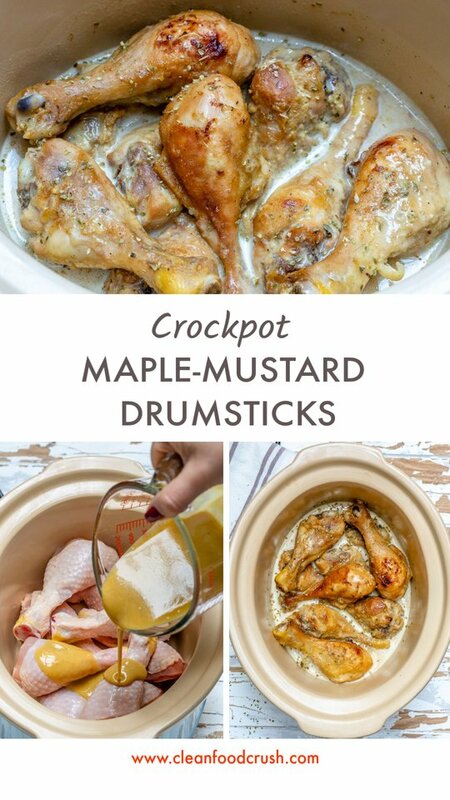 These Crockpot Maple + Mustard Chicken Drumsticks are INSANELY Good! Having SIX teenagers in our home, they request drumsticks quite often! Typically drumsticks can take a bit of hands-on focus and definitely a close eye. THESE tangy little babies couldn’t be simpler! 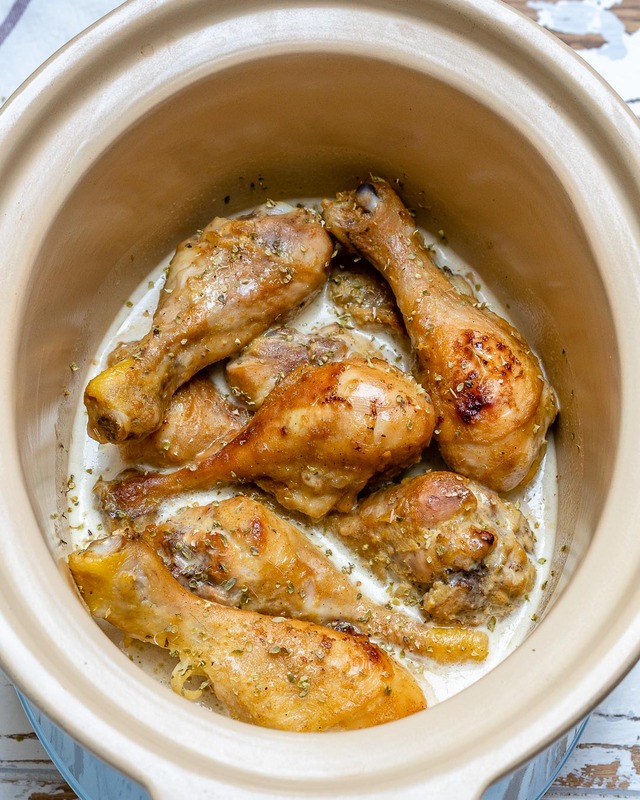 I throw everything into my slow cooker and forget about it until way later in the day! THIS I can do! In a medium glass mixing bowl, whisk together mustard, maple syrup, and ACV. 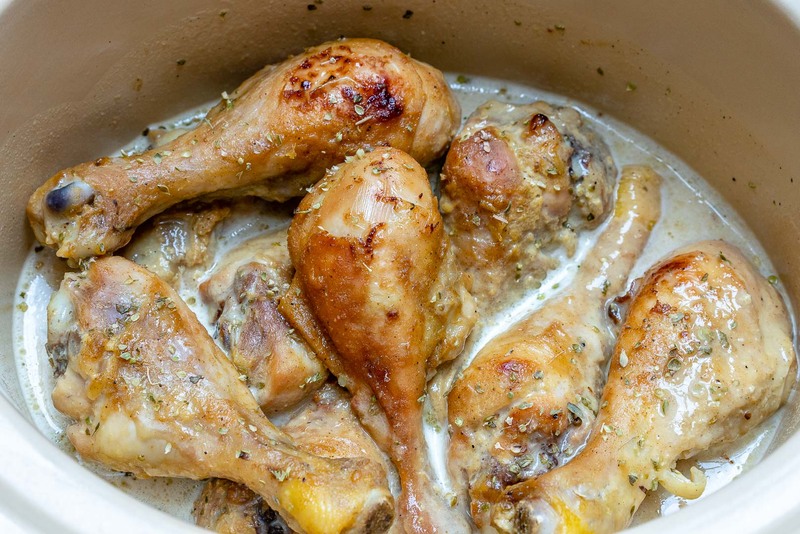 Season and rub the drumsticks with sea salt and fresh ground black pepper, to your taste. 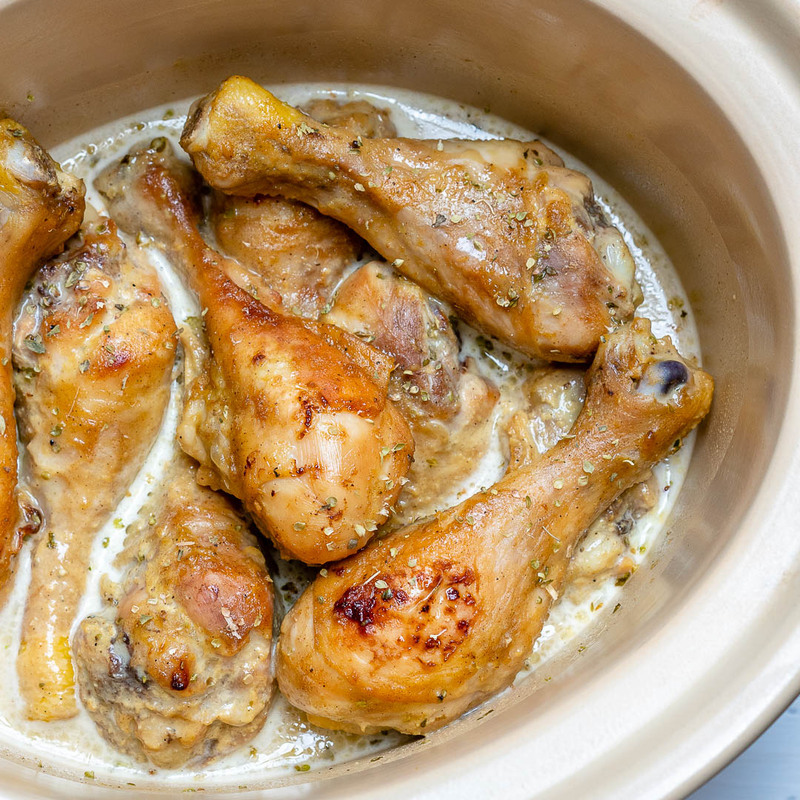 Place the drumsticks into your slow cooker and pour sauce over. 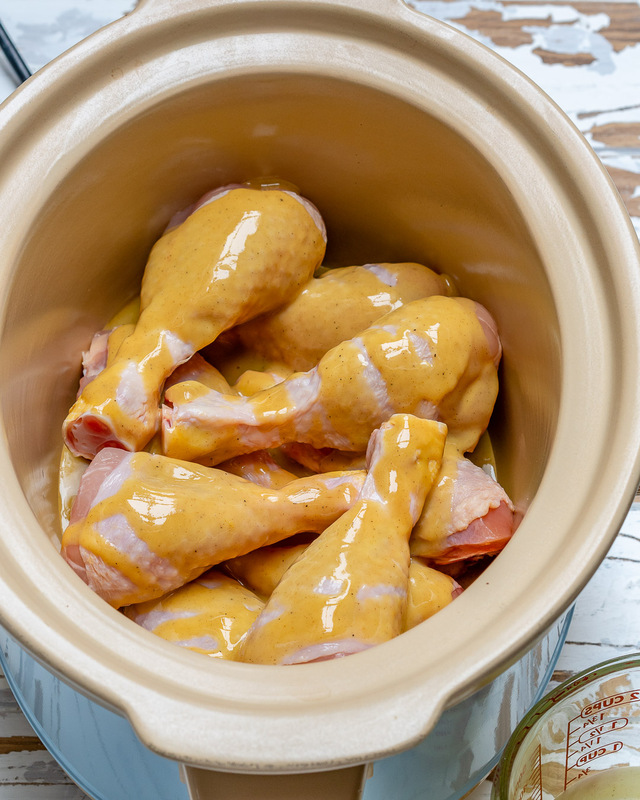 Gently toss to get your drumsticks well coated. 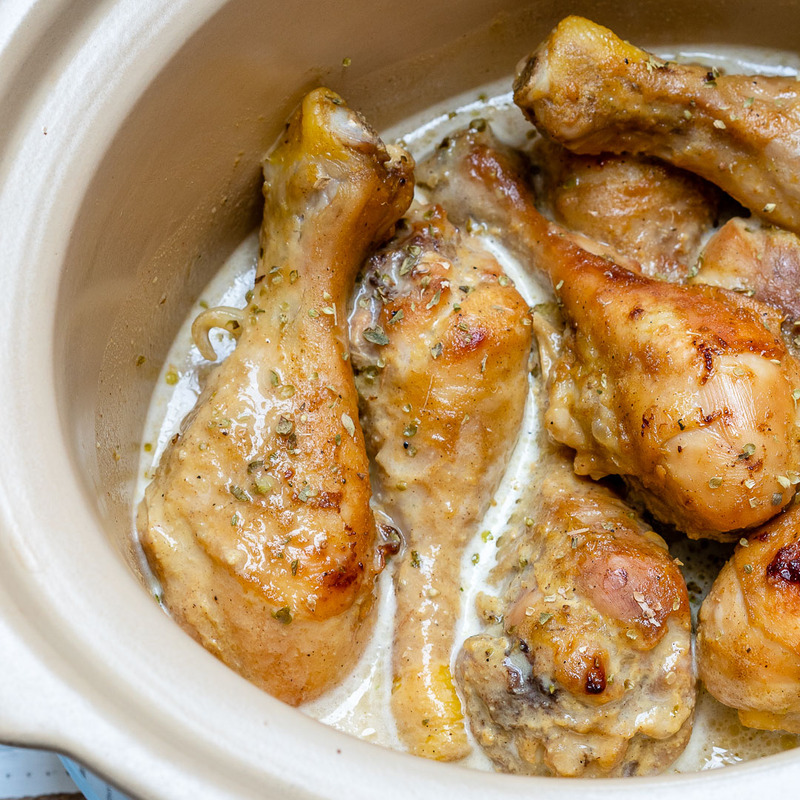 Pour your broth into your slow cooker. Once cooked through, pour your cooked sauce from the bottom of the slow cooker into a blender, and blend until smooth. 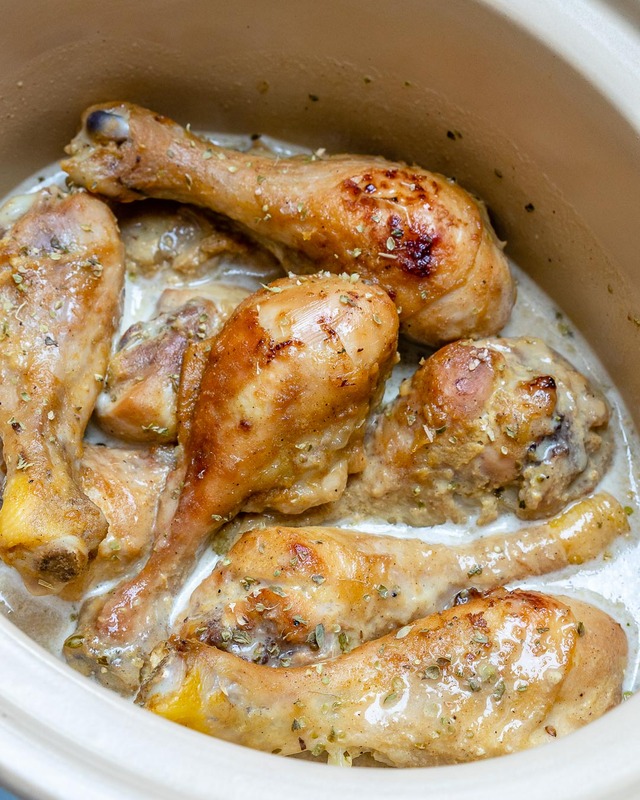 Serve drumsticks and sauce on top of cooked brown rice and enjoy! 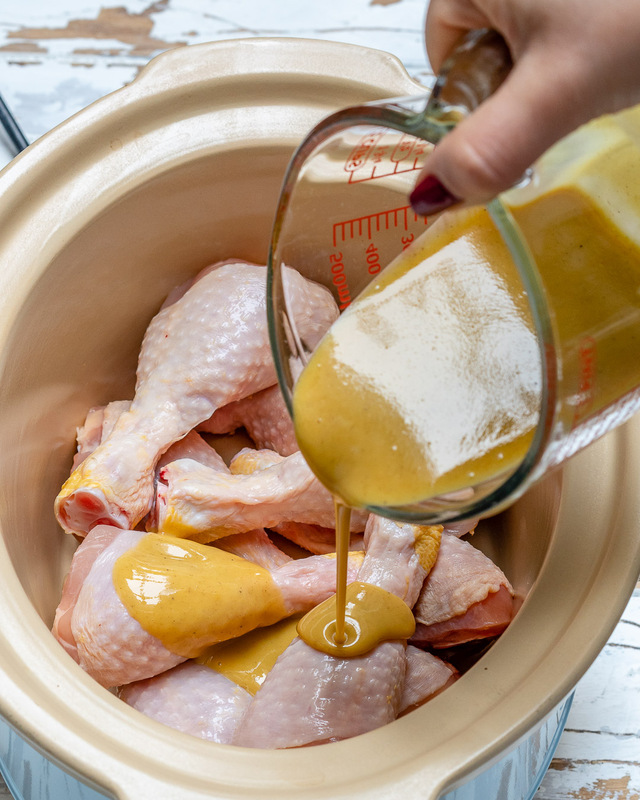 Once cooked through, pour your cooked sauce from the bottom of the slow cooker into a blender, and blend until smooth. 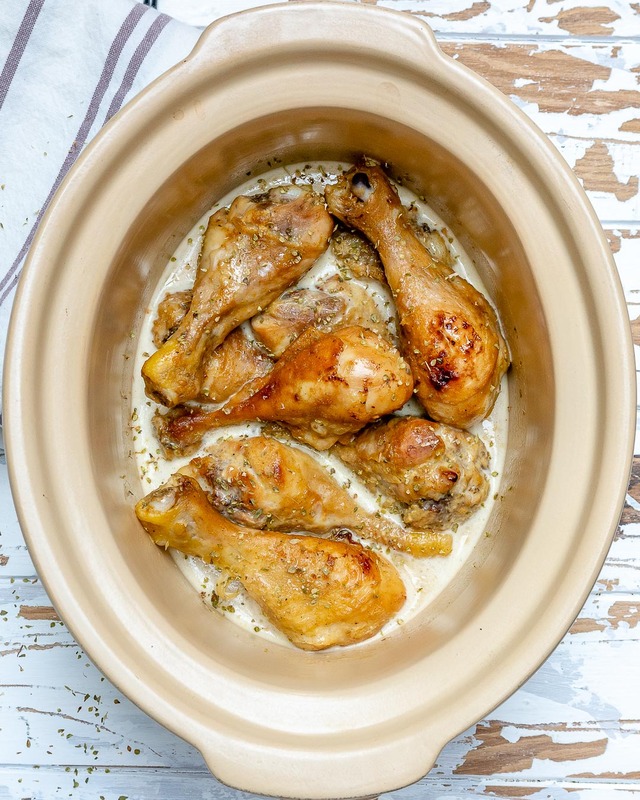 Serve drumsticks and sauce on top of cooked brown rice and enjoy!